The term craft usually denotes a skill employed in decorative art or is associated with the artistic practice. The key feature of crafts is that it involves a large share of “hands-on” craftsmanship, hence the colloquial term “Handicrafts” rather than using machines. 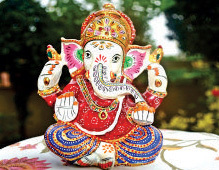 Boontoon with its largest collection of 100% handmade finest quality Jaipur handicrafts is the best place for you to relish your aesthetic needs. 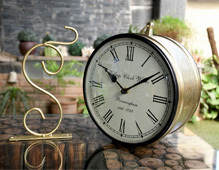 The etymology and distinctive meanings of terms like "arts" and "crafts" are complicated and confused by the expansion of closely related areas like "Decorative Arts" (ornamental and functional works) and "Applied Arts"(design and aesthetics to utilitarian objects of everyday use). There are hundreds, if not thousands, of different varieties of handicrafts including Textiles, Woodcrafts, Paper crafts, Pottery, Glass crafts, Jewellery-making, Leatherwork, Metalwork, and Model-making etc. The history of arts and crafts is as old as the mankind itself. We find a rich craft tradition and a high degree of technical excellence in the field of pottery, sculpture (metal, stone and terracotta), jewellery, weaving etc. in Indus Valley Civilization (5000 years old). The Harappa craftsmen not only catered to all the local needs but traded with the outside world via sea routes. Pottery making, weaving, wood craft etc. in the Vedic age (1500 B.C.) and sculptures in the Mauryan age are famous of their times. The period between 1st century B.C. and 1st century A.D. was a period of political confusion as a result of foreign invasions. The impact of this turmoil is visible in the amazing Buddhist sculptures from Taxila, Begram, Bamiyan, Swat valley etc. Kushana, Gupta, and Medieval were the periods of rapid development of handicrafts, with the Mughal period being the golden period of all times. The tradition of crafts in India has grown around religious values, needs of the common people and also the needs of the ruling elites. In addition to this, foreign and domestic trade has also played a major role in the evolution of different craft forms in India. The craft traditions of India have withstood the depredation of time and several foreign invasions and continue to flourish till date. It is mainly due to the open mindedness of the Indian handicraftsmen to accept and assimilate new ideas. The panorama of Indian crafts is a patchwork quilt of many hues and shades of meaning, reflective of interactions with social, economic, cultural and religious forces. The creative potential of Indian crafts persons makes available a directory of resources—skills, materials, capabilities, and products. The products embody the craftsperson’s understanding that is structural, conceptual and aesthetic, just as the craft is also an interrelation between function, form, material, process, and meaning. The craftsmen of India are the common people carrying out the traditional heritage of their fathers and forefathers not only with equal dignity and passion but also modifying their handicraft items with changing world. The value of this simply lies in the fact that the craftsman relies upon himself rather than upon his tools, and at the same time is completely master of them, adapting themselves exactly to the requirements of the moment. The particular craft of the craftsman is the sphere in which he is competent and apply all his knowledge which is imparted to him through the traditions. The Indian craftsman conceives of his art not as his own, nor as the accumulated skill of ages, but as originating in the divine skill of Visvakarma and revealed by him. Their traditions embrace the life of the whole community. Thus, they are involved with each other more deeply than by common interests or a sphere of cooperative living. 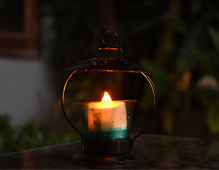 With the opening of doors of international markets to them, their beautiful handicrafts are being delivered all around the world and are highly praised. 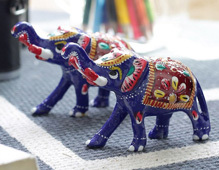 The graceful and colourful arts and crafts of Rajasthan are a big hit with tourists who never go back home without buying some souvenirs from Rajasthan. 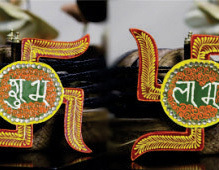 The rich heritage of its glorious culture has been beautifully manifested in the form of handicrafts. The craftsmen show a great deal of expertise in transforming raw materials into arresting handicrafts like wood and ivory carvings, textiles with fast and bright colours, tie and dye and block prints on fabrics, silver jewellery/real stones studded jewellery, blue pottery, miniature paintings, marble statues and lacquer and filigree work. These Jaipur handicrafts are made of materials which are eco-friendly and are easily recycled thus not harming our environment. 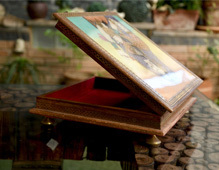 The wooden furniture and artefacts with miniature paintings as showpieces are a favourite of many tourist. Chairs with painted backs, camel-hide stools, marble-top tables and carved cabinets are some of the best examples of wooden furniture in Rajasthan. 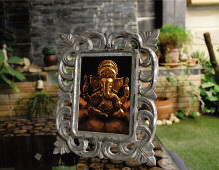 Various metals like silver, brass, and wrought iron are used in making fabulous metal wares such as table tops, wall plates, flasks, boxes, trays, statues of Lord Krishna, Ganesha. Some animal figures are also made from metals. 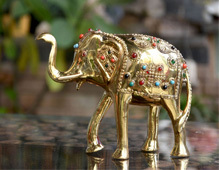 The dazzling jewellery of Rajasthan is something that tops the shopping list of women tourists coming from far and wide. 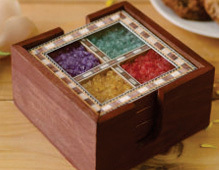 A wide variety of gem stones such as Lapiz lazuli, onyx, cat's eye, garnets, amethysts and topaz is available in the markets of Rajasthan. The traditional jewellery has its own charm, and never fails to entice tourists. The colourful carpets and durries available in various designs and sizes are a must buy the item in Rajasthan. The most famous are the woollen carpets of Tonk, Bikaner and Jaipur. 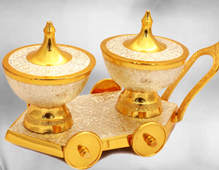 These handicraft items not only serve the purpose of decoration but also serve useful purposes like a candle, key or pen holders, dry fruit box, clocks, bowl & glass set, pooja thali, mouth freshner holder etc. as well as depict our marvellous Indian traditions. These can also be presented to loved ones on the wedding, anniversary or as ladies sangeet return gifts, gifts for Diwali, corporate gifts for employees or clients, Eid or Christmas. 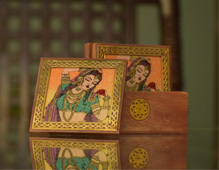 Special Rajasthani handmade bags and gift or jewellery boxes for the wife, mother or sister, so that your gift touches their hearts and souls. 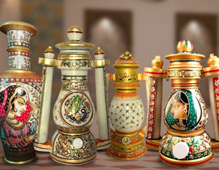 From home décor to daily use items, religious to romantic gifts or traditional to modern designer crafts, gifts for relatives or employees whether for male or female, Boontoon provides you with the largest online collection of Indian Handicrafts at best prices. We supply our items all around the world and are highly praised and demanded not only in India but overseas as well. 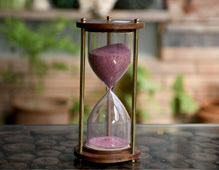 Timely delivery and customer service are our pride. Diwali is a festival of lights. The festival symbolises the victory of light over the darkness. On the auspicious occasion of Diwali, people decorate their homes and workspace areas with aromatic candles, beautiful flowers, colourful lamps or Diyas. 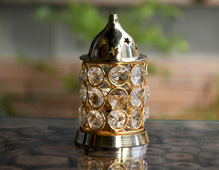 Continue reading The Best Diwali Gift Ideas For Your Loved Ones at Gift giving is a true art. 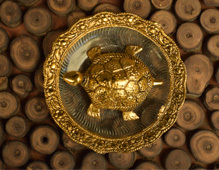 Rajasthan is a magical sojourn reverberating with old culture, natural beauty and rich heritage. Rajasthan is a vibrant and exotic state where the tradition meets the royalty in a blend of colours, against the barren lands. 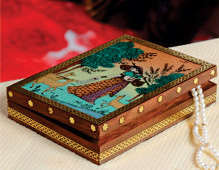 Continue reading Rajasthan Handicraft – A Magnificent Blend of Colors and Culture at Gift giving is a true art. 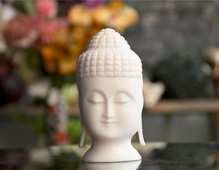 Since ancient times, handicrafts were preferred by people. 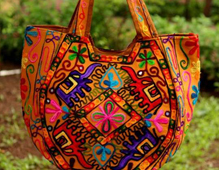 Sometimes, it is referred as artisanal or handmade handicrafts i.e. 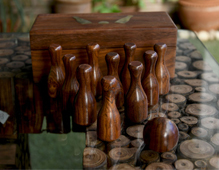 any decorative item or clothing is entirely made by hand by using simple equipment. A crafted masterpiece requires creative skills, innovative ideas and hard work of worker. Continue reading A Perfect Semblance of Traditional Designs, Skills and Hard Work at Gift giving is a true art.